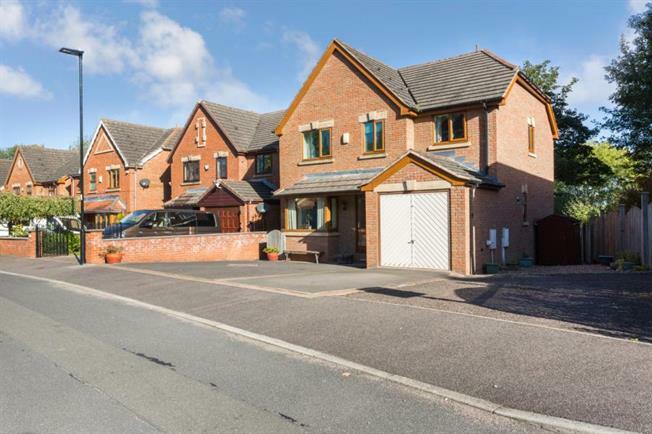 4 Bedroom Detached House For Sale in Sheffield for Guide Price £350,000. ## SOUGHT AFTER EXECUTIVE RESIDENTIAL ESTATE ## We are proud to bring to the market this well appointed, deceptively spacious Three storey , Four Bedroom Detached property. Occupying a cul-de-sac location this generous family home offers flexible family accommodation over three floors and has further potential to extend with relevant planning permissions. In brief the accommodation comprises; To the ground floor the entrance hall leads to the Integral Garage, Living room and superb open plan Dining/Kitchen with spiral staircase to the lower ground floor where there are two further reception rooms/occasional bedrooms both with access from the rear garden. To the first floor The master bedroom has an en-suite shower room, three further bedrooms and the family bathroom. To the front of the property is a driveway providing ample off street parking and leading to the integral single garage, there is a further hard standing area with timber shed to the side of the property providing potential to extend with relevant permissions. To the rear is an enclosed hard landscaped garden with patio area backing on to open fields.